WATER extends sympathy to the Sisters of the Holy Names and to the Patrick Family on the loss of their beloved Anne E. Patrick. Anne passed away in Silver Spring, Maryland, on July 21, 2016, after a valiant struggle with cancer. Dr. Anne E. Patrick was William H. Laird Professor of Religion and the Liberal Arts, emerita, at Carleton College (Northfield, Minnesota). She taught there for nearly thirty years specializing in Christian Ethics, Catholicism, feminist and liberation theologies, and religion and literature. Anne was a past president of the Catholic Theological Society of America, and a founding vice-president of the International Network of Societies for Catholic Theology. She has been a director of the Society of Christian Ethics, an editor for the Religious Book Club, and a columnist for Liturgy. 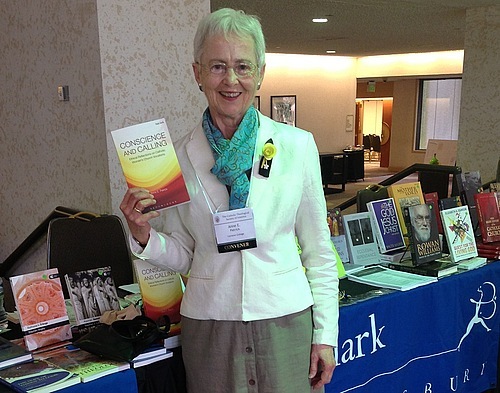 Her writings on religious, ethical, and literary topics include Liberating Conscience: Feminist Explorations in Catholic Moral Theology (Continuum, 1996); Women, Conscience, and the Creative Process (Paulist, 2011); Conscience and Calling: Ethical Reflections on Catholic Women’s Church Vocations (Bloomsbury, 2013). In June 2013, she received the John Courtney Murray Award for “outstanding and distinguished achievement in Theology” from the Catholic Theological Society of America. We at WATER valued Anne’s friendship, her collaboration, and her encouragement. We will miss her as a friend and neighbor, colleague and source of inspiration. May her work continue for generations to come. 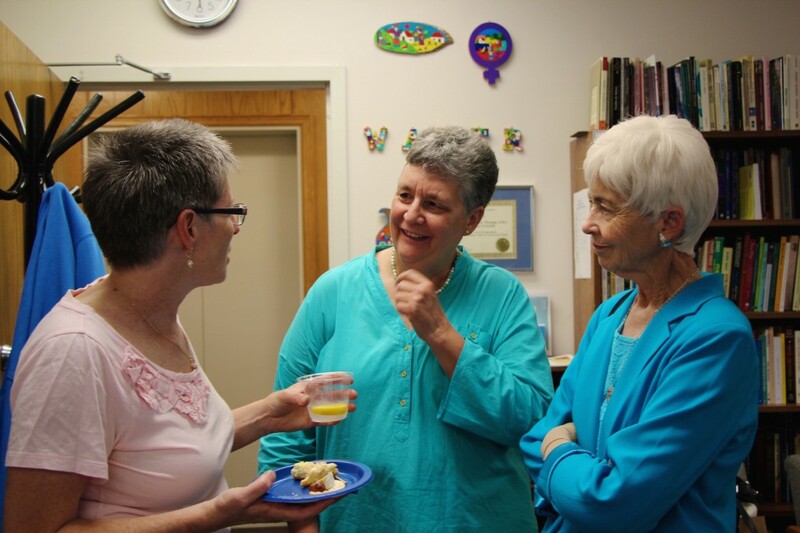 Anne (right) in conversation with Cindy Lapp (left) and Mary E. Hunt (center), during a visit to the WATER office last year for a reception for the film Radical Grace (2015).